The dust that is present in atmosphere along with the foot traffic of people makes the carpet in homes and offices lose their shine and impossible to walk on. 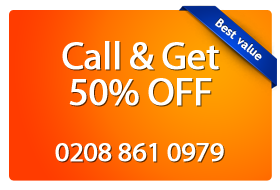 At this time Magic Carpet Cleaning technicians can be the right choice for the carpets in the Chalk Farm (NW3, NW5). They provide London carpet cleaning and bring with them the knowledge of all modern methods and their training in the field of carpet cleaning makes them more experienced in handling carpet stains than any other companies. Magic Carpet Cleaning services has come up with unique solutions to make the carpets and rugs just as good as new by various vacuum cleaning techniques like hot water extraction or steam cleaning. The art of upholstery cleaning also can be used for high priced and delicate items in homes and offices. The prices of these services by Magic Carpet cleaning are fixed taking into account the size of homes and offices.